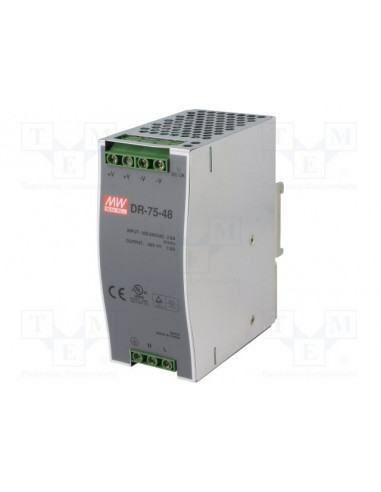 The PWR-75-48 is an industrial DIN Rail mount power supply unit built for hardened temperatures and environments from -20 to +70C. PWR DIN Rail series units are designed with a free air convection cooling system and come with short circuit, overload, over voltage, and over temperature protection. 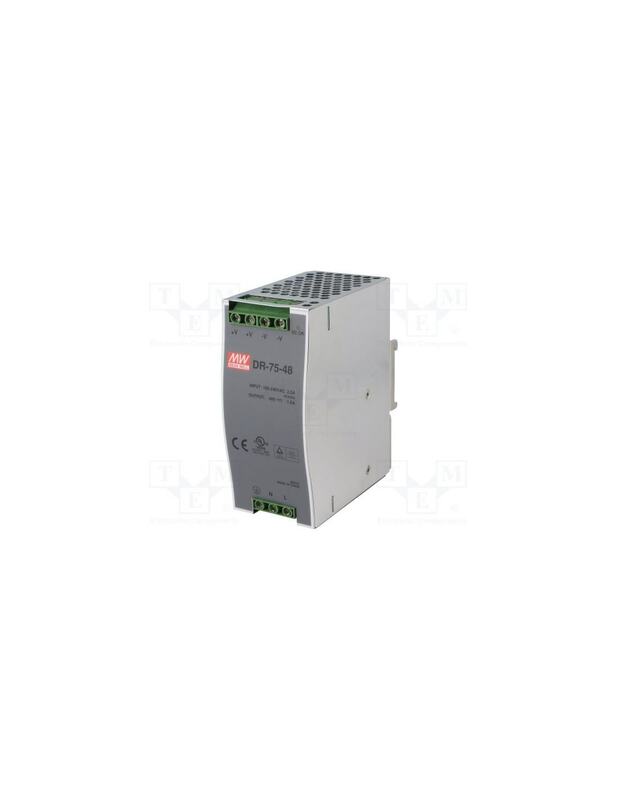 This model accepts 100-240V AC input voltage or DC input and provides 48V 75W power output.